- EL Wire Eye Glasses with Sound Reactive Mode! 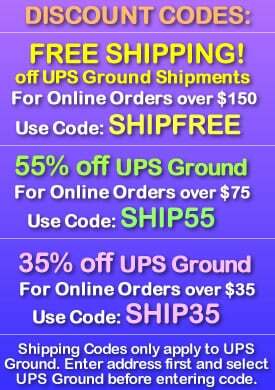 - Clear Lenses make it easier to see at night! - Three Modes: Steady Light, Strobe and Sound Reactive! 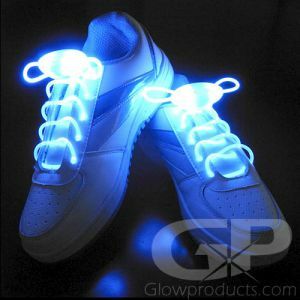 - Watch your Glasses Light Up to the Music! 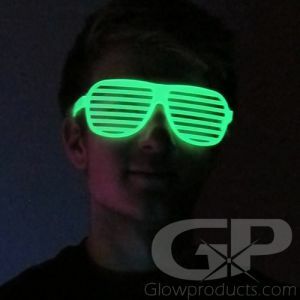 - Rave Glasses for glow parties or concerts! 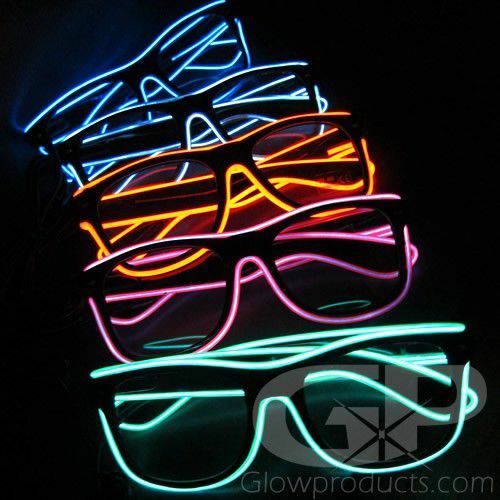 No crazy fun glow party is complete without awesome light up glasses! 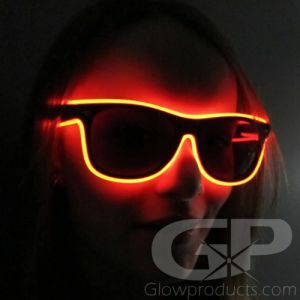 Check out the Clear Lens Glowing LED Eye Glasses with Bright Electro-Luminescent Wire and a built in Sound Reactive Mode! 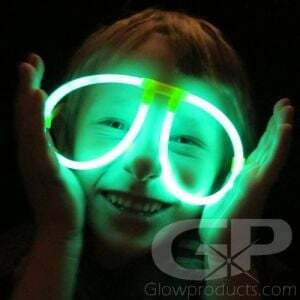 These glow in the dark eye glasses have clear lenses (so it's easier to see when you're wearing them at night) and come with a fun sound sensor setting that makes the eye glasses light up in time with the music! The embedded EL Wire glows along the entire frame of these cool ray ban style light up eye glasses. 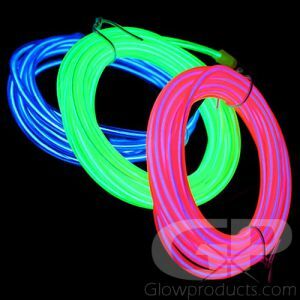 The glowing clear lens El Wire Eye Glasses come in a selection of bright colors including Blue, Green, Pink, Purple, Red and White! Instructions: EL Wire Glowing Eye Glasses have clear lenses. The EL Wire Eye Glasses come with three light settings that include a steady light mode, a flashing light mode and a sound reactive mode that makes your glowing glasses light up to music, ambient sounds or the DJ's funky beats! 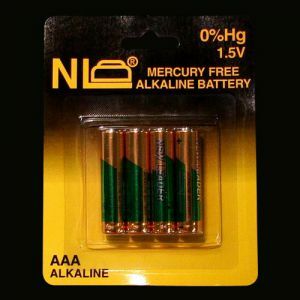 Simply insert 2 pieces of AAA batteries and use the button on the side of the battery unit to turn on the light up eye glasses and circulate through the 3 light modes. Use the dial next to the power button to increase or decrease the sound reactivity on the sound reactive mode. Approx. 12 hours, depending on the setting.